Using the latest in CAD Impact 2 software, our award winning designers will create, test and provide exact scale samples for you, using our large format plotters. This takes the guesswork out of new projects whether it is a simple tuck-end carton or a complitated POP Display. Our Thermal Plastics division utilizes the latest in CAD software to produce exact fit prototypes for your approval ... before manufacturing begins. Advance Paper Box Company's offset printing department consists of 40" and 56" "state of the art" presses with 8 color capability and U.V. coating capability, we can also print on foils and plastic. Our clients appreciate our ability to include a U.V. Coating either "In Line" or "Off Line" based upon the project. We also have the ability to print "Micro Flute" corrugates. Our foil stamping and embossing presses can handle sheets up to 29 1/2" by 41 1/8" and we have the ability to even foil stamp on thermal formed trays. 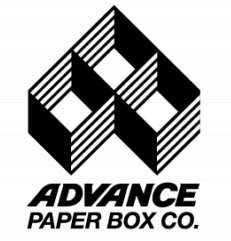 Advance Paper Box Company can design, prototype, and manufacture just about anything you can imagine. We have In-House ink matching capabilities to insure the color is right! Color marches and "Draw Downs" are submitted for approval before we print your job. 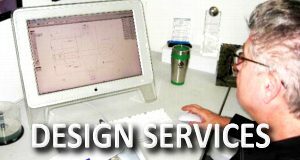 Call us to discover what we can do to turn your project into a reality.